They say a change is as good as a holiday and that could be the inspiration behind Judy Sheindlin’s new hairdo. Better known as Judge Judy, the 76-year-old has been a firm favourite on TV since her courtroom show of the same name debuted in 1996. It’s fair to say she is just as famous for her signature look and style in the courtroom as she is for her hard attitude. Petri Hawkins-Byrd, who appears as Judy’s bailiff on the popular series, originally shared a snap of the star’s new hairstyle in February on his Instagram page, but only now is it going viral online. It came as a shock for many fans, who are used to seeing Judy with her signature bob. “Change is good,” he teased, alongside a photo of the mother-of-five with noticeably longer hair pulled back into a ponytail. Fans weren’t sure what to make of the style and offered their own judgement. Others admitted they were “shocked” by the new style. “I just saw her today with this hair style I freaked out but she looks great,” one comment read. Regardless of what people think, it looks as though the new style is here to stay. Judy was photographed alongside husband Jerry last month in Los Angeles with the new ponytail. And, despite being on air for more than two decades, Judy’s successful program shows no signs of slowing down. 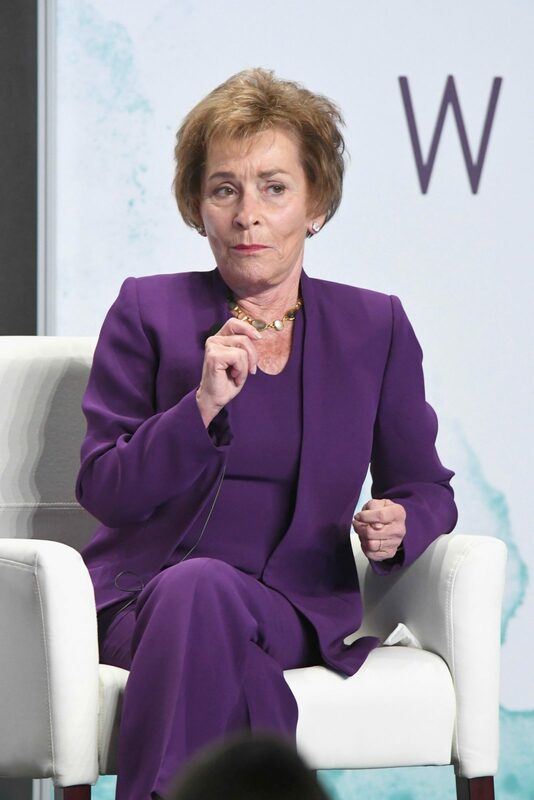 In an interview with NY Post last year, the proud grandmother explained why she thought Judge Judy was still so popular after close to 30 years in air. “I think people still like order and they still like rules and they like that comfort of seeing, at least, a case from start to finish,” the star said at the time, adding she was repulsed by a lot of shows appearing on TV these days. Judy currently earns a cool US$60 million (AU $75.2 million) per season of her show. What do you think of Judy’s latest look? Are you a fan of her style?